Nothing is worse than when you chomp down on the side of your cheek by accident. It’s painful and it seems like it’ll take forever to heal. To your surprise, within a day, you can hardly feel anything and you’re back to mindlessly chewing again. In this week’s post, your dentist is here to explain your body’s awesome healing properties and discuss why your mouth recovers so quickly. When you scrape your arm, it takes weeks to heal. But when you scrape the inside of your cheek, it’s practically gone by the end of the day. Have you ever wondered why? 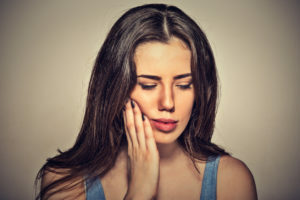 Most of the tissue lining your cheeks, gums, tongue, and inner lips are made up of “mucous tissue.” Mucous tissue is soft and almost jelly-like due to being primarily made up of ground substance, the mucous-like layer that cells float around in, with some fibers and cells for connective purposes. Compare this to any other part of your body. Skin tissue is made up of several layers that require a complete process for reconstructing. Because mucous tissue is simply made up, it also has a much quicker recovery time when damaged. Mucous tissue is highly vascular, meaning it’s very rich in blood vessels. Your head and neck have tremendous, non-stop access to blood flow. Blood contains cells that are necessary for healing. The easy blood flow brings a lot of nutrients and oxygen to the damage site to catalyze the healing process and it’s constant. A small protein found in saliva called “histatin” is actually a key contributor to the healing process. Originally thought to be an antibacterial agent that helps keep the mouth naturally clean, histatin has proved itself it be much more beneficial. After a study was conducted in the Netherlands, researchers found that a wound created in a culture of saliva healed in just about 16 hours. The culture without saliva remained damaged, leading us to believe that the proteins found in saliva helped the wound to heal much faster than anticipated! The human body has been healing itself for years. Your brain sends out signals to react to danger, generate more cells in a certain area for growth, and cleanse itself of infections. It’s safe to say that you can trust your mouth when it comes to healing small sores and cuts. One thing you can do to help speed up the healing process is just swishing your mouth with warm salt water. Salt water rinses are good because they alkalinize the mouth (opposite of acidifying, which is what infectious bacteria creates). The alkalinity helps decrease the bacteria count because they like an acid environment. Additionally, salt water is astringent and speeds wound healing through reducing inflammation and contracting the tissues. At Flenniken Family Dentistry, Dr. Neil Flenniken and his wife Dr. Suzan Rismani-Flenniken take pride in offering complete dental care that is high in quality and exceptional in service. If you ever have a burning question about your smile or dental health, feel free to call our Carlisle office.